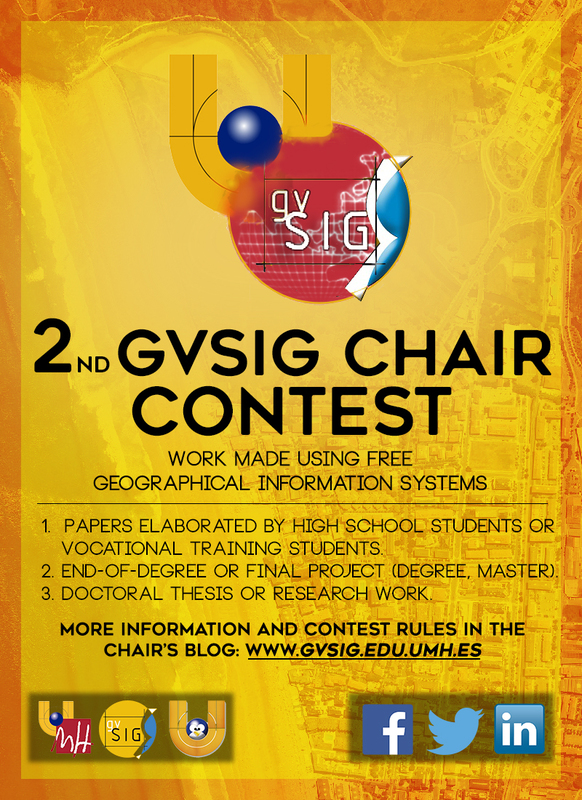 The gvSIG Chair Contest is announced for the second year to reward works about free Geographic Information Systems, in university world as well as in learning one. The aim of these awards is to foment gvSIG use in particular and free geospatial technologies in general, as well as to encourage all gvSIG and free Geographic Information Systems users to share and give visibility to their work. Awards are aimed at students or graduates in secondary school or professional training, university students or graduates and university teachers, and researchers from all the countries. This entry was posted in community, english, gvSIG Association, gvSIG Desktop, press office. Bookmark the permalink.